As the weather gets warmer, it might be time to put away the hot drinks for a while. 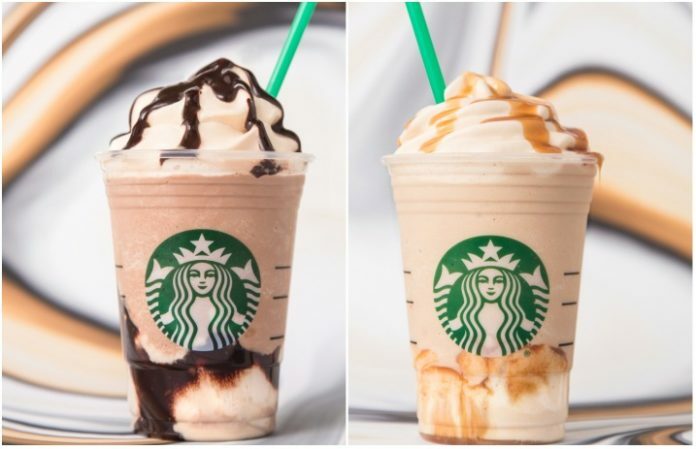 Get your taste buds blazin' with two sweet new beverages from Starbucks: The Ultra Caramel Frappuccino and Triple Mocha Frappuccino. As reported by Bustle, the two new Starbucks drinks take some classic Frap flavors and amp them up for the summer. And, unlike the many limited edition Frappuccinos that frequently pop up, the Ultra Caramel and Triple Mocha are here to stay on the coffee chain's permanent menu. According to Starbucks, the Ultra Caramel Frappuccino contains “cold brew whipped cream and dark caramel sauce, then layered with a dark caramel coffee” and “dark caramel sauce,” while the Triple Mocha “begins with a layer of Sweet Cold Brew Whipped Cream topped with a layer of dark mocha sauce at the bottom of the cup.” Sounds delicious!